m SG 23. 1 s 1861.
m SG 46. 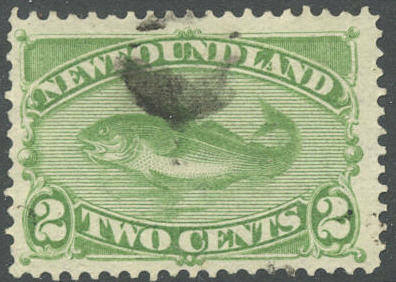 2 c Atlantic Cod 1880. (£ 30). m SG 47a. 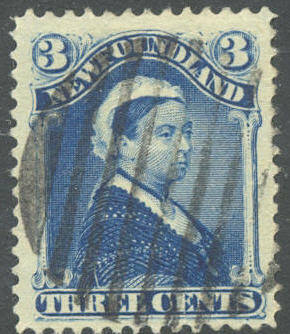 3 c Victoria 1880. (£ 6). m SG 49. 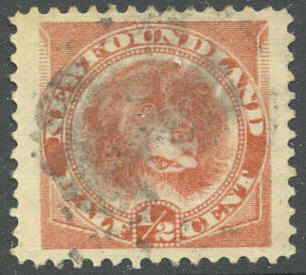 1/2 c Newfoundland dog 1887. (£ 9). Y SG 66/79. 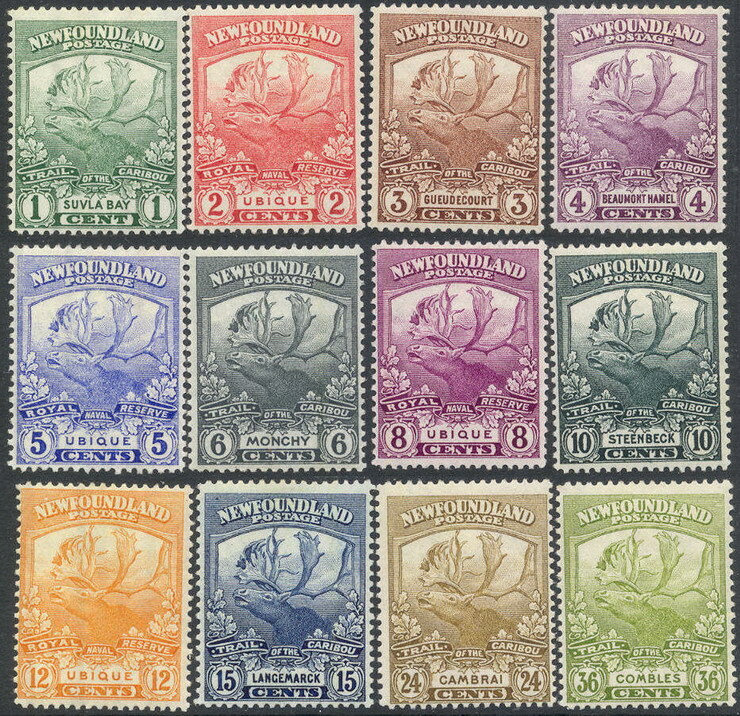 Discovery of Newfoundland 1897 - 13 velues (8d missing). (£ 280). m SG 99. 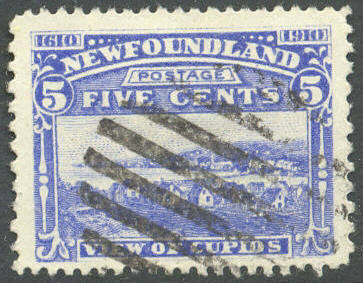 5 c Cupids 1910. (£ 13). Y SG 130/141. 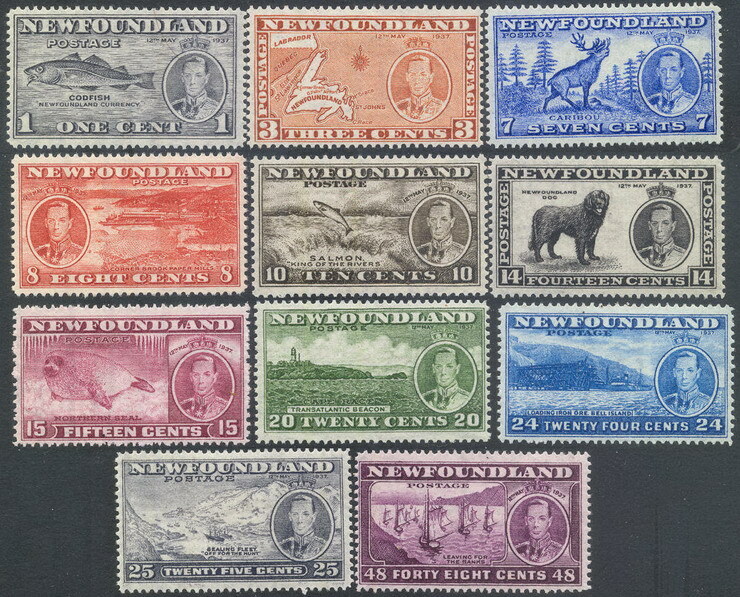 Newfoundland Contingent 1919 - complete set. (£ 140). 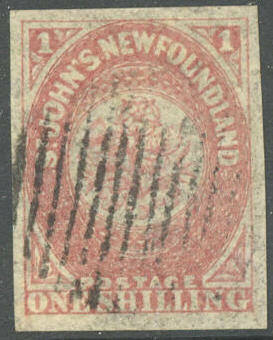 Y SG 257/267. 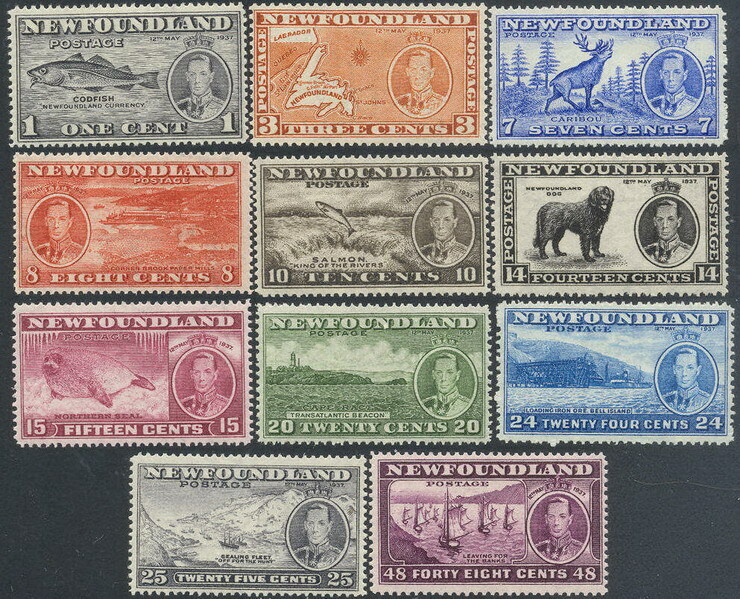 Definitives 1937 - complete set. (£ 55). YY SG 257/267. 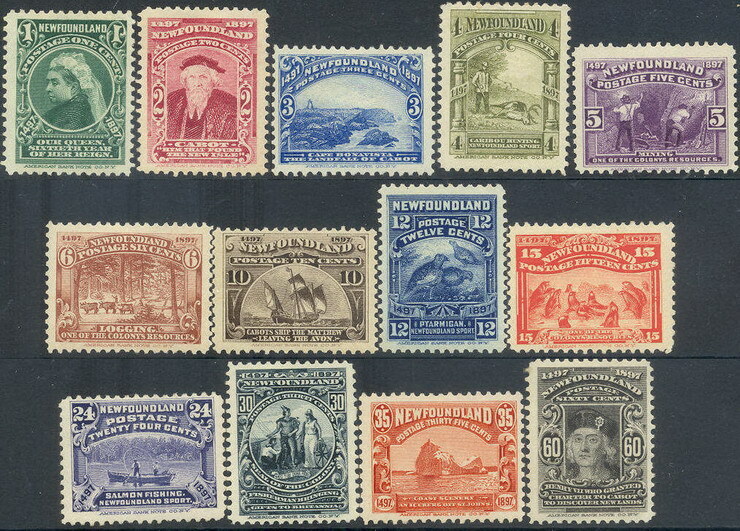 Definitives 1937 - complete set. (£ 55).